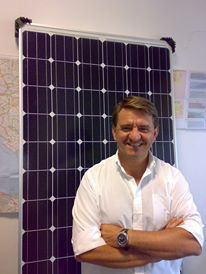 In 2011, the slowdown of the Italian economy reduced domestic business opportunities, and Pier Giorgio Fontana, owner of Elettrofaenza, decided to go international in search of new markets. Thanks to Erasmus for Young Entrepreneurs he established a strong partnership with the new entrepreneur Alena Pop from Romania. Elettrofaenza supplies now materials and technological know-how in Romania and the new entrepreneur offers consultancy services on energy efficiency and development of renewable energies and provides technical skilled workers when special plant installations is needed. "It is very difficult for a small business such as mine to access new foreign markets, especially when we do not master the local language, have no connections and when there is no money to invest. The help of a new entrepreneur was essential in this case.” said Pier Giorgio.